Growing food to nourish your body, community & environment. Our farms are educationally engaging and agriculturally productive places where folks of all ages & backgrounds can eat, grow and learn together. Throughout the year, we grow a wide selection of new and familiar fruit, vegetables and herbs that we nurture from seed to harvest with all natural inputs like compost & cover crops. You can find our fresh produce at two different locations around the city throughout the week. When you shop at our markets you’re not only supporting a stronger, healthier local food system, but every dollar spent goes right back to our educational and community health programs. To make a deeper investment in healthy food and support the next generation of farmers, scholars and business leaders, join our CSA farm share program! 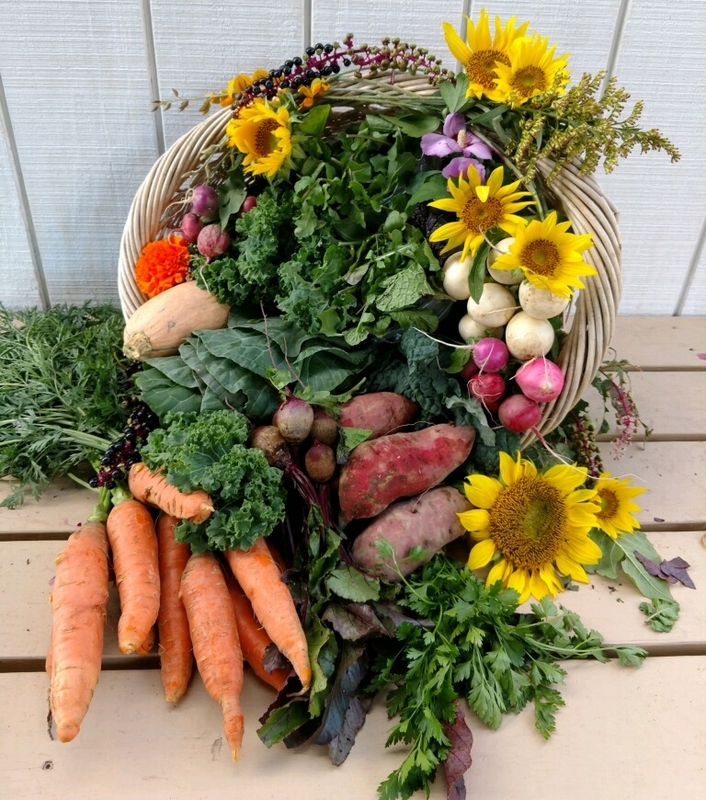 CSA share holders pay an amount equal to $20 per week and choose from a wide variety of fresh produce grown at any one of our farmstand or market locations. Whether you’re a kitchen novice, a seasoned chef or somewhere in between, we help you love your CSA share with weekly recipes, discounts on additional purchased items, and farm tours. No matter your family size, our CSA Shares are designed to work for just about anyone!